Electric vehicle charging lane on the go – Let's travel green! 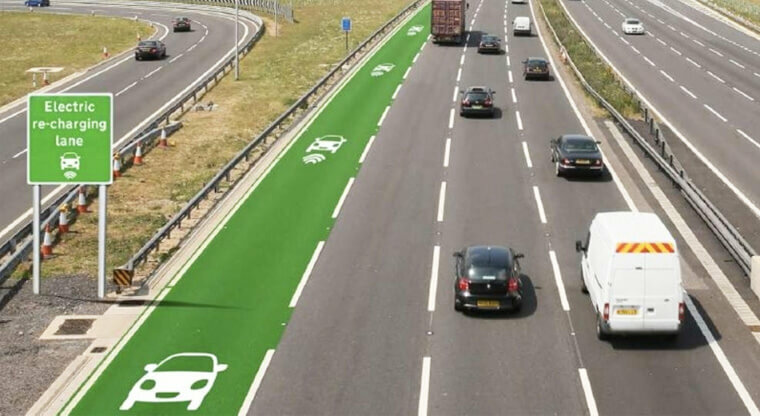 Wireless equipment installed beneath the motorways surface and into the vehicles to be able to charge the electric vehicles in motion will soon be in extensive trials later in England this year. 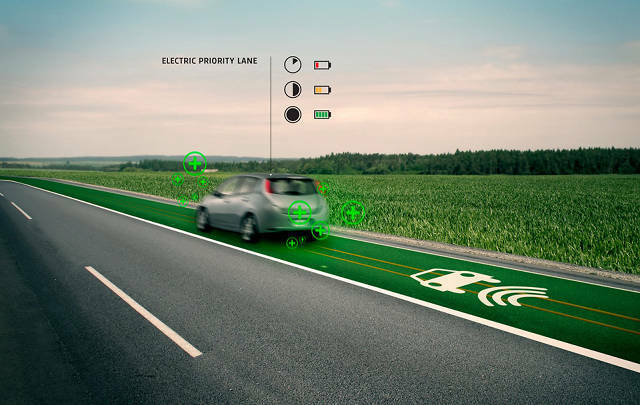 This technology enable drivers to travel long distance with electric vehicles without needing to stop for recharging. This could increase the demands of low-emission vehicles. They do not stock energy (Lithium extraction destroy the environment). The building process is environmentally friendly. The electric energy is renewable.